First I want to say Thank You for the emails about the Mountain Baby Blanket project! We have a staff planning meeting at the Quilt Shop this week and I should have a date for a Sewing Day to make baby blankets soon, so stay tuned. Collections for donations will be ongoing ~ so no deadlines, just contact me when you have donations ready! Yesterday was one of those productive days! I hit the sewing room early and finished up the binding on the Batik Star quilt pictured above. I had made this top quite a while back for a class I taught on paper piecing, and recently had Jean McDonald quilt it for me. The picture doesn't show it, but she did a wonderful job with an all over design! (You can see it a little better if you click on the picture for a larger view.) I also finally got the last borders on my Jo Morton Club "Holiday Inn" project. Better late than never, right? Today I need to get downstairs and organize in my craft room. It has to be done, I can hardly walk in there and it is spilling into our back storage room (and Bob needs to be able to walk in there). I made a pact with him that I'd clean it up by the time I go back to work on Wednesday, and he wouldn't throw anything before then :) It's also a computer day today. I have patterns to write, staff calendars to do, and my other job (clerical work for another company) to do. Cleaning the craft room will be a nice diversion in the middle of the day! Mom and I have been trying to find a cause to put our talents to, and through Rachel Cox's blog we found it. Mom saw her call to action on her blog with her project 'Mountain Baby Blankets'. After showing me the link, we were both moved by the story and knew that we needed to do something to aid in this project for the children of the Appalachian Mountains. And this is where we also ask for your involvement. 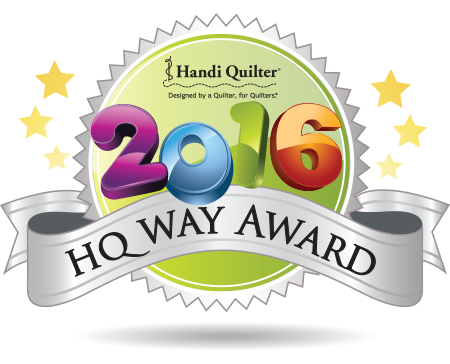 If you would like to make any quilts, please let us know. You can contact Rachel directly through her blog, or we can let you know the specifics that the Christian Appalachian Project is looking for, as well as where to send them. We are also looking for donations of cotton or flannel fabrics, batting (that we'll turn into quilts), and children's books. Mom and I decided that would be our special Spring Water Designs family touch. We want to be able to send a book with each blanket to be read while cuddling under warm quilts made with love. After watching the story of the children of the Appalachian Mountains in Kentucky (which can be viewed here), we knew that something had to be done. Rachel Cox's brilliant project is a great way for all of us quilters to help make the lives of needy families a little bit brighter. We are also trying to coordinate a gathering so that we can share and sew our quilts as a community at And Sew it Goes. More details will follow when we have set this event up. Any aid is appreciated, and we hope that you will be able to join us in this project! Well I have my March Calendar Quilt section all caught up, so I thought I'd do a little show and tell. There are only a few more days in March, so it's almost complete. I started off the month with a little green strip for St Patty's day and then a snow strip. A batik thrown in there for a batik project that I'll have bound soon to show (I hope to get to that this weekend to take to the guild meeting on Monday). There are strips from my Charlotte project, our little Patriotic project that we're working on, Jo Morton Club, Thimbleberries Club, and Sloanies Club projects. I have a shamrock strip for St Patty's day on the 17th, and I've enclosed two selvage edges for the days that I was cutting out Christmas Magic fabric for the next magazine project that I'm doing for QUILT Magazine. Wow, March is really flying by and soon it will be time to be outside in the yard more, so we'll see how well I keep up with this challenge in April! This is Charlotte. I've spent the last few days with her, she's a big girl measuring in at 87 1/2 x 104 1/2". Even though she is so big, I was still able to put this whole top together in just a couple of days because the applique blocks are pre-printed fabric. Her colors are just gorgeous! The actual quilt pattern is called Charlotte's Scrappy Quilt made with the Charlotte fabric collection designed by Debbie Beaves for RJR Fabrics. Here is a closer look at a corner. 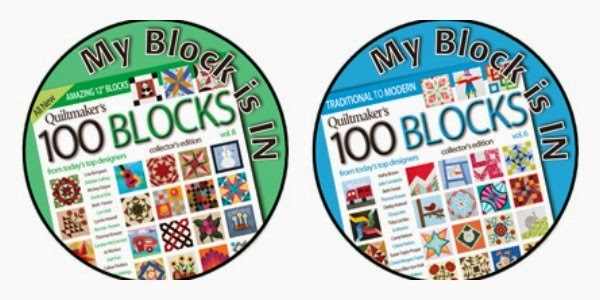 The large nine patch blocks use the small pre-printed block fabric, the larger blocks are the stand alone blocks of course and the border strip is another bolt in this collection. 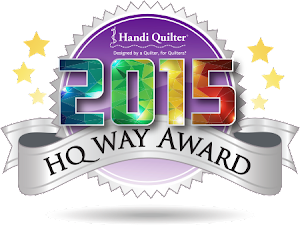 We have this collection and the complete quilt kit as you see it here in our shop right now! I love to peruse other blogs and favorite sites and have many bookmarked. Last night I stopped by the Moda Bakeshop and saw this cute selvage pillow (you can find it further down the page posted on March 5th, but enjoy all of the posts along the way!). There is a complete tutorial there on how to make it. 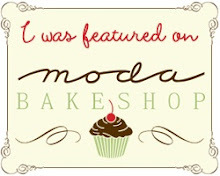 That's the great thing about the Moda Bakeshop site ~ wonderful directions on how to make a variety of things using Moda products, of course. I also followed the link to the Selvage Blog where Karen Griska has so many creative ways to use those selvages that we usually throw away. She has a book called Quilts from the Selvage Edge that is definitely worth looking into. Yesterday was my trip to Virginia to spend the day with Lisa and Elsie. We went to Ikea and here are some of the treasures that I got there. Snipits Jars! They have them in different sizes. I got large ones for small pieces of fabrics (I have a red, white & blue project brewing). I got this idea from RoseMary Swartwood, who uses fishbowls sorted by color for her small scraps. I bought some of the smaller jars and put my Jo Morton Presentia threads in them. I already have a vintage Ball Canning jar for my buttons, but these would be perfect button jars too. I got these little guys that I plan to put beads and such in. They were just too cute to leave in the store! I plan to mount a large shelf on one wall and put all my jars there. We had a great time on our shopping trip! Ikea is a facinating place to explore for anyone who loves to organize. And as Elsie is modeling, you can use Ikea products as home decor, or a hat :) It doesn't get better than that! How do you carve out time to stitch in your busy day? I like to carry handwork along with me when I have to be out and about. This little blue stitchery is the one I currently have in my car. I used to do a lot of waiting at dance classes, and football practices and would do a lot of stitching there. Now it is more likely to be doctor's offices or using up time when I arrive early for an appointment after running errands. I like to keep some kind of work, and a book in my car at all times. Although when the weather turns hot, I won't keep anything with blue marker in my car as the heat will permanently set the markings. I keep it stocked with supplies that just stay in this case, and I usually have at least one Dear Jane block in progress in here, and some applique. The key is preparing the pieces ahead of time to have something in the wings ready to work on when the moment presents itself. These little pieces are usually my "extra" projects that I'm doing just for fun, so there is no deadline to get it done. It's more about the process than the project. Today, I am running down to Virginia to spend the day with Lisa and Elsie. I will have a full day shopping at Ikea with them and going out to lunch, but my little handwork case will get thrown in the car as Northern VA is notorious for traffic jams that don't budge. You just never know, I may get some stitching time today after all ~ at least I'll be ready! This is my coworker Mary, who is a member of this guild, and her Art Quilt that was in the show. The colors were just stunning! These are a couple of other quilts that I liked at the show. Of course the Baltimore Album style caught my eye, and anything with Civil War fabrics! Heather liked this one in blues, teals and purples. These must be her colors as her first quilt that she made in college was this same color scheme! Here are some pictures of Carolyn and Mary working away at our booth at the show. 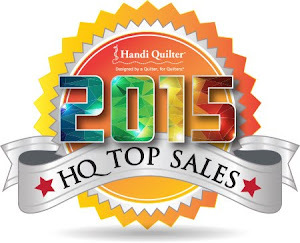 Heather is honing in on some panels or fat quarters! Today is all about staying home and cutting, cutting, cutting! This is what I just unpacked from a shipment from Henry Glass Fabrics! It's a sneak peek of the next magazine project that I'm making for Quilt. The fabrics are a collection called Christmas Magic designed by Lynette Anderson. I just fell in love with her little primitive reindeer and wanted to work it in to a design! I work at the shop today, but can't wait to get into cutting this project! I'll keep you posted, it should appear in the magazine around the holidays. To start off our Jo Morton Club show and tell last night I had my Patriotic Strippy Stars (mainly because I didn't have my Holiday Inn project any further along). This can be found in the book Remembrances by Jo Morton. We've just gotten this great blue star print that I used in the border back in stock. Contact And Sew It Goes if you need some. This is Luanne Lindeman's Holiday Inn. She used the center from Peppermint Twist (also in the book Remembrances), and a great border fabric from an older Jo line called Lexington. Luanne also had this great little Nine Patch Strippy from Club 6 that she did with borders in the Providence Collection. Notice it's all completely finished, quilted and bound! We all loved Karen Gladfelter's Holiday Inn with that great red frame with the dark cornerstones. 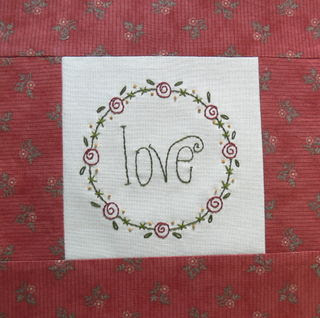 I'm still loving the dotty background that she used for the center applique block! Val Sanford shared with us her Churn Dash. This pattern was originally a JLW Club 1 project that was recently reprinted in Jo's book Yesterday's Charm. Val used a Windham Bundle to make it in Cheddar, Poison Greens and Blues. Jo had some great Poison Greens in a recent line called Courtney's Bouquet that would work well in this color scheme too. This is Karen Watkins Holiday Inn with great traditional red and green center. Being a huge Baltimore Album fan, I just love the look of this one! Karen W. also brought in her finished cross stitch Teapot block of the month for us to see. This is just adorable with the colors used and each block has wonderful button adornments! My picture just doesn't do it justice. And for hand stitchery fans, Peggy Schaum shared this beauty that she did from a Kathy Schmitz pattern called A Bird's Life. I just love the blackwork, and we carry alot of Kathy's patterns (including this one) at our shop. Last night I gave out the pattern for the last of the borders for the Holiday Inn project, so next month we will be showcasing the finished products. Keep on stitching! Yesterday was our Sloanies Club at the Quilt Shop and we always have some show and tell. Ruth Green had brought in several finished quilts and somehow in the conversation, and me looking up close at how she quilted her quilts, I never backed up and took big pictures of her I Believe, Be Attitudes or her Homespun quilt. But above is a picture of one block of her Calendar Quilts and Stitcheries from Nancy Halverson. (We share other things as well as Pat Sloan projects too, and these little fusible applique projects fit right in). Ruth has a bunch of these blocks finished with really nice adornments and touches. This is Ruth Kirkpatrick's background for her Walk in the Moonlight quilt before borders. We're all in the tracing, tracing, tracing stage for the applique of that one right now. It's coming along! And Kathy Fowler brought in her finished Jo Morton Holiday Inn project to show since she won't be able to attend tonight's Jo Morton Club. I just love the colors she used! Hopefully I will get better at taking pictures of all of the show and tell that we have ~ I just get so overwhelmed sometimes :) Join us at one of our club meetings when you can, the sights are amazing! This is my little Elsie (center) with her buddy Cadance (left) and Cadance's Daddy, Zach playing Rock Band. The girls take their drumming very seriously! And here is Elsie again getting ready to help Mommy do some baking in her apron that Aunt Heather embroidered for her. This is her famous "Say Cheese" face that looks exactly like Mommy Lisa's from about 1989 (this could literally be a picture of Lisa). Enjoy the Luck of the Irish Today! Happy St Patrick's Day! Here are a couple of little goodies that I've found out on the web to pass on to you. This first one is a link to another free Block of the Month that I found at Gail Pan Designs I love her designs check them out! This monthly freebie from her is a Christmas themed BOM called "A Christmas Wish" that has nine blocks that you can have finished by the holidays! I will have the button link on my sidebar so you can find it again easily next month. And this Shamrock Smoothie recipe is from Lynette Jensen and can be found in this month's Catching Up with Thimbleberries newsletter. You can receive this ongoing newsletter by signing in at Thimbleberries site. Once you sign in, you can also go back and read past newsletters at the website. They are packed with tips, recipes and free projects. Here's a peek at the table runner that I made for the Thimbleberries Club extra project this month. I did mine a little differently than the pattern called for. I cut my 3 1/2" strips from one of the TB Twice the Charms rolls. I used chenille on every other seam and quilted with a decorative stitch on the alternate seams. Large rick rack would have been cute too. It was very easy and quick, only about two hours start to finish! It would make a cute scrap project too. And here is a picture of the "new baby" that I've been nurturing for the last two days. We've spent many hours getting to know each other and I'm starting to establish who is boss. I have all of my important files restored (I highly recommend Carbonite.com ~ made the process very easy! ), I just need to install some more software for some of my design stuff. We opted for a desktop pc to replace our old pc and my laptop. I have another laptop for my "other job", and I don't really need two laptops. This gave us way more GBs for the same money. I also got a wireless printer so mine and the kids laptops can print from afar ~ at least in theory, I haven't tried that trick yet. I hope to tackle that today and then I think we are all up and running! Thank you to everyone who emailed me, or made comments on facebook giving me recommendations on what to look for with the computer shopping! That was helpful in narrowing the search ~ it was kind of mind boggling! So today is a work at home day and I am definitely wanting to get into my sewing room, I've missed it, and projects are calling my name! This weekend is all about computer shopping and other technological headaches (this is right up there with going to the dentist for me). We've had two computers crash at our house this month, and the second one of course is my laptop with our financial records and my designs in it. I do have my files backed up, so I "should" be able to retrieve everything when we get the new one up and running ~ I'll let you know how that works out for me. So I've spent the weekend obsessing about comparing gigabites, pixels and the cost of software, and of course, for every hour I spend on electronic stuff is an hour that I'm not stitching, Ugh. Today, for your viewing pleasure, are some beautiful hand applique blocks from my friend RoseMary Swartwood. She is doing these from a pattern called "Ladies of the Sea" designed by Sue Garman, and she's making them two blocks each month...two ~ that's incredible to me! There are 16 ship blocks in this quilt, four compass corners, and a very prolific appliqued border. This quilt is not for the faint of heart! Not only is RoseMary doing the applique, she has the embroidery and inking to do on each one. Then she is quilting each block as she goes with a double grid pattern. The first picture shows the grid marked in blue water solvable pen, and in this second picture she has the single grid quilted. This last block is finished with the double grid lines quilted in. She has more finished blocks than this in her collection, I just have three of them pictured here. They are gorgeous, and the colors just pop! Thanks for letting me share your beautiful work RoseMary, I look forward to seeing this complete, it's going to be awesome! Last night was our Thimbleberries club at the shop. Above is one of the completed block sets from last month (These are Karen Watkins' blocks). We had about half our members attend and had a great time, but it was a little "bittersweet" as it was the last night for one of our long time Thimbleberries Club members, Sherry Hazelhurst. We'll miss you Sherry! These are some signature blocks that Sheri Thompson made for all of us to sign and give to Sherry as she starts her new adventure in Colorado. (I know some of you TB Club members are traveling, and a couple told me they wouldn't be able to make the meeting, so I have some extra blocks for you to sign for Sherry ~ just see me the next time you're in the shop, we want your signatures too!). We also had a really cute card made by Barbara Lanore that all signed. Along with the food (thanks Barbara & Sheri!) and fun, we had some show and tell too. Above is Ann Hazelwood's adorable wallhanging done in my all time favorite Thimbleberries Halloween fabric, and the little striped inner border was a really nice touch! The pattern was from a Love of Quilting magazine. This is Jean McDonald's breathtaking Trip Around the World quilt. It's huge ~ so much so, that I didn't get the gorgous border in the picture (the border fabric was just perfect for this quilt). You also can't see in this picture the wonderful quilting that she did on it. She quilted in a large vase with flowers over it and used great colors in the threads. I thought the quilting might show in the picture, because in person it just popped! This is a cute quilt made by Sandy Lynch. I think she called it Cats in Paris. The fabric line was adorable, and personally I love this color combination. Below is a section of Sandy's pieced back that shows off the quilting that Maria O'haver did on her Statler. There are little mice scurrying all over the quilt ~ too cute! I also had made the Thimbleberry's Extra Project Tablerunner, and of course forgot to take a picture of it, so I'll do that today at work and post later. I hope you enjoyed the show. 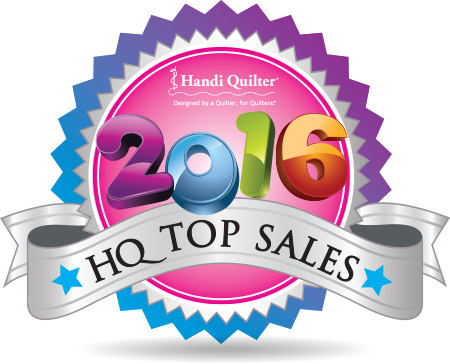 It's like going to a mini quilt show at all of our club meetings ~ I'm always amazed! Grilled Cheese, Macaroni & Snow Days!